Girl Scout Cookie Season is upon us, and I for one could not be more excited. 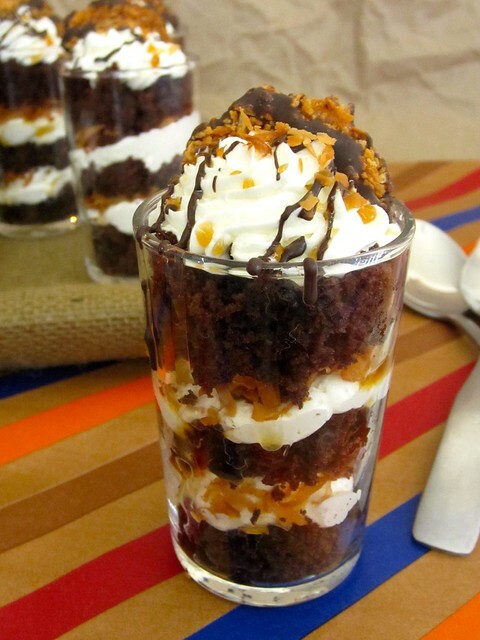 I may be jumping the gun here, but I really just couldn’t wait to share this recipe with you. As a child, I participated in Girl Scouts until I was “too cool” around 4th or 5th grade. That doesn’t mean I stopped buying the cookies though! It’s incredibly hard to resist those adorable little girls outside of the store asking “do you want to buy some cookies?” Umm YES PLEASE. Thin Mints are hands down my favorite, it just doesn’t get better than that. So when I overload my freezer with Thin Mints every year, I need an excuse to get rid of them. As such, the Thin Mint Brookie was born. When I saw these Red Velvet Brookies from Ashton, I immediately started drooling. They were so beautiful! Having never made a brookie myself, I was quite intrigued. 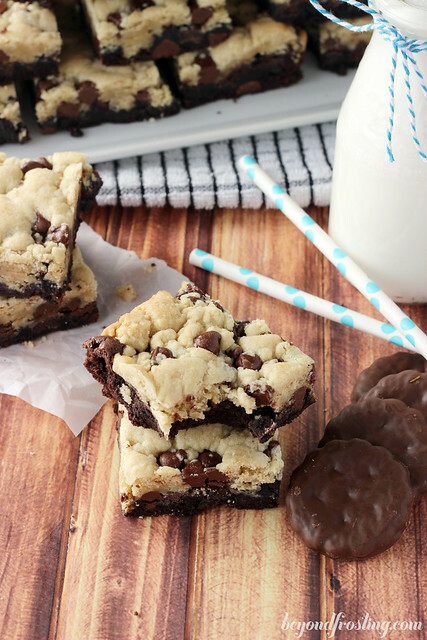 This recipe combines a fudgy brownie with a chocolate chip cookie loaded with mint chocolate chips and Thin Mint cookies. I found a bag of mint chocolate chip cookies at Walmart, and since mint chocolate is my favorite flavor combination, I picked up a few bags. 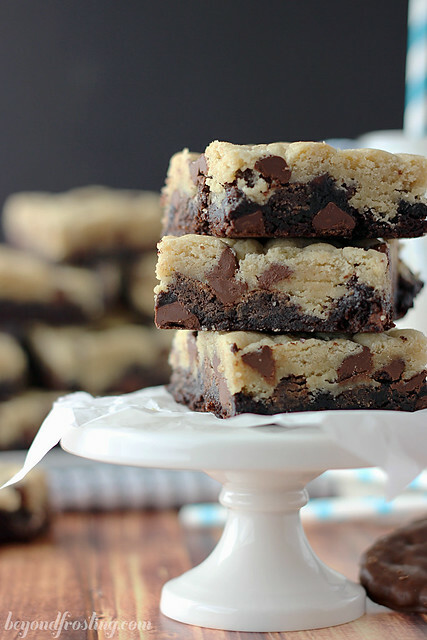 If you can’t find them, just substitute regular chocolate chips. 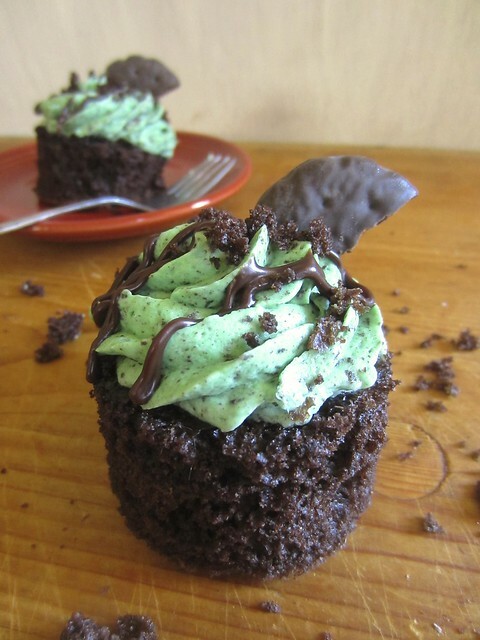 For added mint flavor in this recipe, substitute one of the two teaspoons of vanilla extract for mint extract. For the chocolate chip cookie, I modified my favorite chocolate chip cookie recipe from Picky Palette. This is my go-to chocolate chip cookie recipe. Of coarse, you can make it easier on yourself by using some prepared refrigerated cookie dough from the store, but I love the softness of the cookie made from the dough I use. This brookie is one of those “red light” desserts for me – meaning I had to get rid of them immediately after photographing in fear of eating the whole pan myself. Fact. Empty one sleeve of thin mints into a Ziploc bag. Crush cookies into smaller pieces using a rolling pin or wooden spoon. Set aside. In a separate bowl, combine flour, salt and baking soda. Slowly add flour mixture to dough batter while mixing at a low speed. Once all the flour has been added, increase speed to medium until dough forms. Add mint chocolate chips last and fold into cookie dough. Bake for 23-25 minutes at 350°F. Remove from oven and allow to cool before cutting. Since I used a baking mat, I was able to completely remove the sheet of brookies from the pan before cutting. These thin mint brookies are stunning. I’m not a talented baker, but I would love to give these a try! 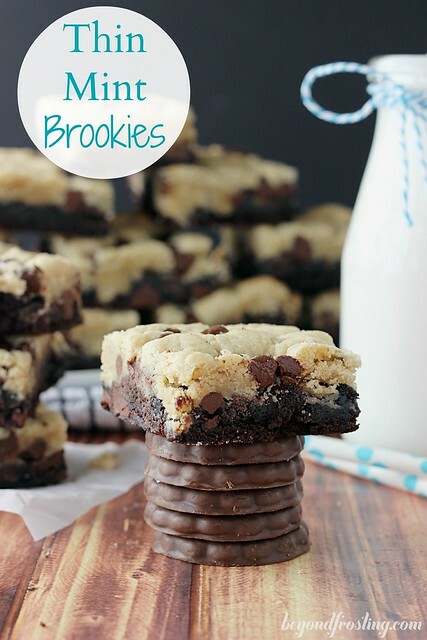 I love this thin mint brookies recipe. 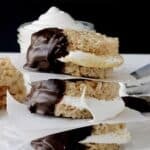 I need to add a teaspoon of honey instead of 1/2 C sugar to recipe and it would be perfect! Thanks a lot for sharing, Julianne! This is a potent page. Are you perhaps interested in the outdoors, camping or fishing? We love to fish in our local lakes and also do a bit of surf fishing in the sea. If you are interested in fishing please be so kind to see this. You’ll view a fabulous fishing site.